Added by Indo American News on January 31, 2013. 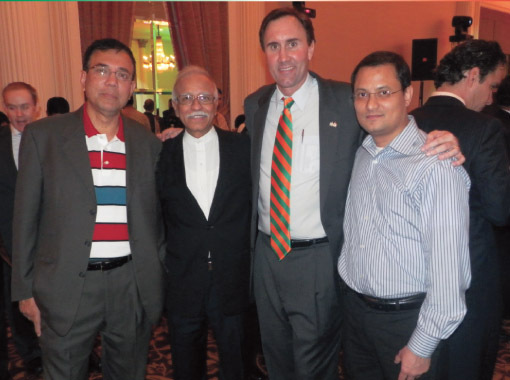 HOUSTON: As in the past four years, this year’s Indian Republic Day reception was held once again by the Indian Consulate at the Hilton Hotel on Post Oak on Sunday, January 27 evening, but the contrast to the austere and dreary event of the previous years could not have been starker. 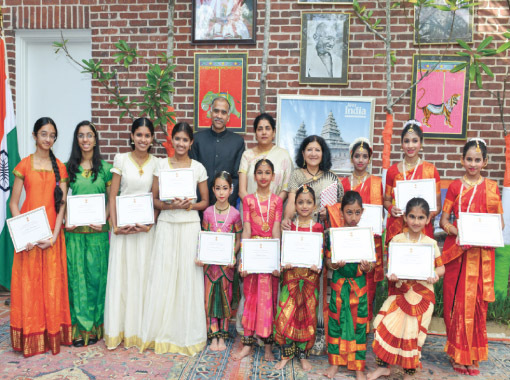 And it reflected the personal interest of the Consul General Paroathaneni Harish and his wife Nandita as they reached out to many of the Bayou City’s artists and performers whom they have befriended in the short six months they have been here. While the rigidity characteristic of the Foreign Service was still evident as key staffers registered and met the invited guests, there was a warmth and eagerness to greet that permeated from Harish down and less hesitation to engage freely in conversation. One guest was surprised but appreciative that there was background music playing throughout the evening to add ambiance. Another murmured gratefully that the CGs speech was short, knowing how his predecessor, Sanjeev Arora had a penchant for long, drawn out acknowledgements focusing on the notable guests in the audience. 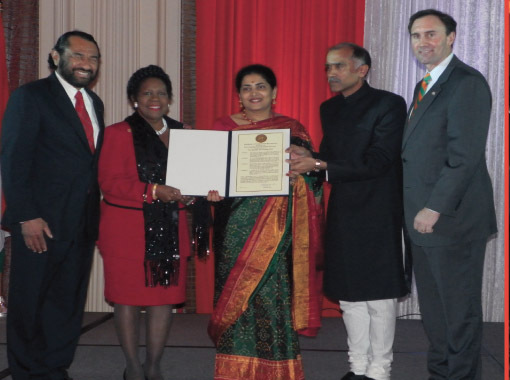 Harish turned the stage over to the area’s politicians – Congress members Sheila Jackson Lee, Al Green and Pete Olson (who serves all of Ft. Bend County); Harris County Judge Ed Emmett; Harris County Sherriff Adrian Garcia; Houston City Councilman Mike Laster whose district includes Little India and India House; Jay Guerrero of Sen. John Cronyn’s office and others. Given the proximity to Dr. Martin Luther King’s Anniversary and the recent Presidential inauguration, the common refrain was the legacy of both King and Mahatma Gandhi. Lee called out to the mother of Mini Timmaraju, who has taken a new role as Chief of Staff to the new Indo-American Congressman Dr. Ami Bera from California. The evening was ably emceed by Rinku Mehta, a welcome addition to the CGI’s staff, who oversees the marketing efforts that Harish has encourages in order to spread the office’s messages effectively. 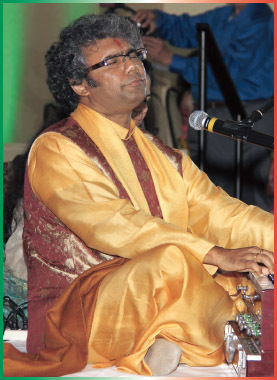 As in the last three events, Dr. Sunil Gadgil played the national anthems on the saxophone. The program ended with performances by local artistes and their students: Divyaa Unni of Sreepadam School of Arts; Rathna Kumar of Anjali Center for Performing Arts; Shiva Mathur of Shivangini School of Dance; Anisha Rajesh of Upasana Kalakendra and a stirring vocal recitation by the very talented Pt. Suman Ghosh. Snacks and a buffet dinner were served by Uddipi Café. 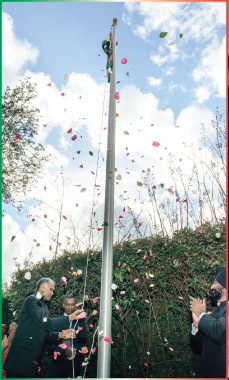 Earlier in the weekend, on Saturday morning, the Consul General, his wife and the CGI staff hosted about 200 people at their residence for a flag hoisting ceremony and a reading of the address to the nation by Indian President Pranab Mukherjee, followed by lunch. Many people then rushed to the Republic Day celebrations organized by the India Culture Center (see story on page 3).